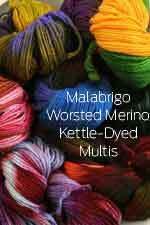 Malabrigo Yarns gorgeous kettle dyed merino wool are the perfect merino yarn, with a sheen from natural oils - yet not greasy or dry like some handspun merino, this is a gem - and at an incredible price! 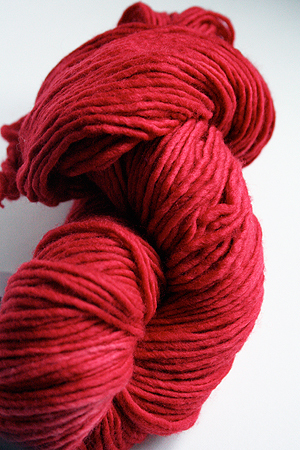 Malabrigo's merino wool yarn is made by a small, family-owned company in Uruguay. Working with a cooperative, they create wonderfully unique yarns - with a focus on merino wool. This is their Merino Wool Worsted Yarn, ultra-soft in amazing colors. Please order enough for your projects - we match lots, because no two lots are exactly the same, but this sells as fast as we can get it, so don't wait! (Discounts will apply to Malabrigo when your order is $50 or more!) Free shipping on all our Malabrigo!